With The Hunger Games saga coming to a close later this year, the Young Adult adaption crown is soon going to be vacant, so it is understandable there is quite a few fighting to take its place. 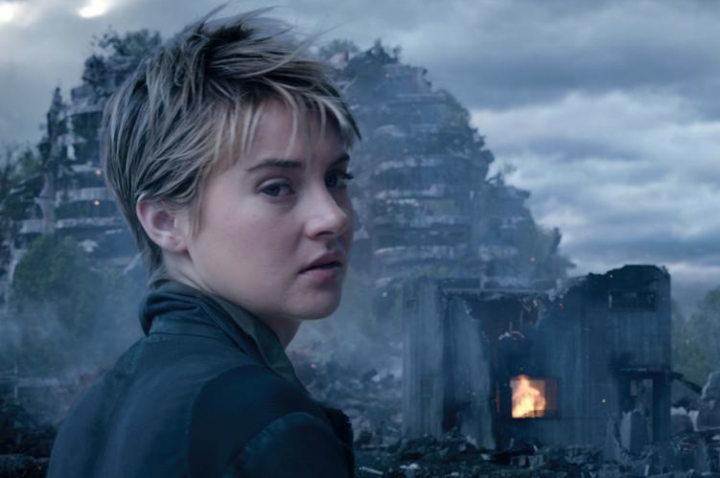 Of the glut of YA adaptions that have come our way in recent years, Divergent, based on the novels by Veronica Roth, has emerged as one of the few that have any real chance. Another dystopian future tale of a young heroine leading the charge against a corrupt leadership, the series finds itself on its second installment with Insurgent (dropping the original tongue twister of a title The Divergent Series: Insurgent) picking up three days after the original, with Tris (Shailene Woodley) and her allies on the run from Jeanine (Kate Winslet) of the Erudite faction, who is desperate to keep her world's virtue divided society intact, convinced that Tris and the other Divergents will tear it apart because they possess multiple virtues. If the above synopsis has you scratching your head, be warned that Insurgent is unforgiving for a newcomer to the series. With only an all too brief synopsis of the first movie and the chaste based society at the heart of the story at the start, there isn't much hand holding to be found, and with the world building out of the way in the first movie, Insurgent wastes no time in getting into the thick of the action, as Tris and co try to build an army to take down Erudite using the looked down upon Factionless, led by an unrecognisible Naomi Watts. The overall story may contain beats we've seen time and time again, but it's all wrapped up in an incredibly interesting world that is fleshed out wonderfully, and will keep your attention for much of the runtime. Woodley gives it her all as the Tris, making for a likable heroine to root for. She's surrounded by a good supporting cast, with Winslet and Miles Teller proving entertaining as the movies bad guys. Where the story falls down presents itself in the opening minutes, a McGuffin in the form of a box that can only be opened by a powerful Divergent. 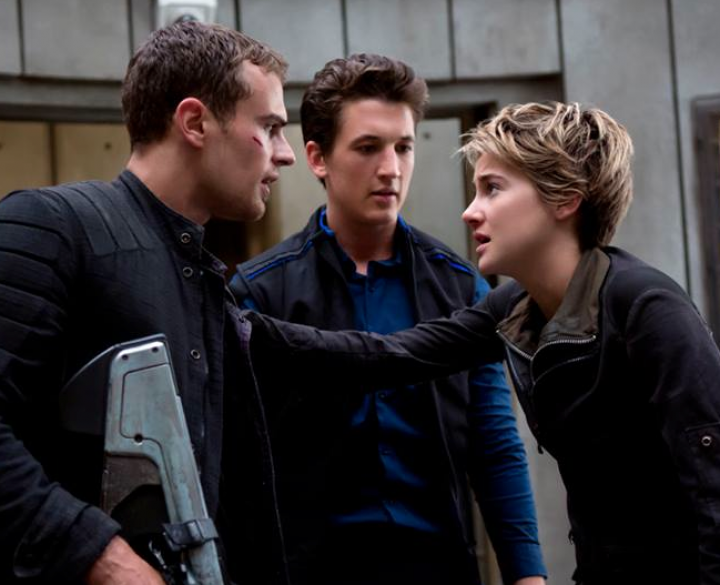 This puts Tris in the overly familiar position of the Chosen One, again something we have seen over and over again. The first movie worked so well to subvert this trope, revealing that multiple Divergents could exist at any one point. Insurgent expects us to believe that different Divergents are weaker than others, and, of course, Tris's power level is at 100% meaning she's the special-ist of the special people. It's an eye rolling detail, one that takes away from the main story. All talk of rebellion and taking down the corrupt regime, that is pushed so much in the opening act, is put to one side once the box comes into play, and the movie starts to pursue another storyline altogether, with betrayals and double crosses coming out of nowhere for no reason other than the script called for them. Despite a pretty lopsided story, the latter half of the second act sees Insurgent pick up considerably, with much of the action set inside Tris' head as she's subjected to the different tests used by the multiple factions to test a candidate's eligibility. They are pretty mind bending sequences, with some pretty good effects as this synthetic world breaks apart and melts away depending on Tris' actions. It does a great job of piquing your interest after some sloppy storytelling, but does give way to a pretty predictable ending that's been used many times before. An entertaining installment in a burgeoning franchise, Insurgent finds itself brought down by familiar tropes and cliches from Young Adult adaptions of years past.